Hello and welcome to Heyworld Japan!! 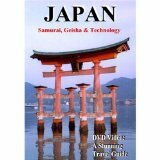 Heyworld Japan Travel Guide is written and researched by the locals and us who had traveled all over Japan and the world. You can discover real Japan at Heyworld Japan. Find what you can't find in guide books and what you didn't expect here! !